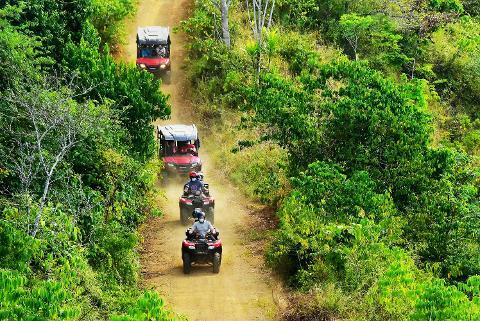 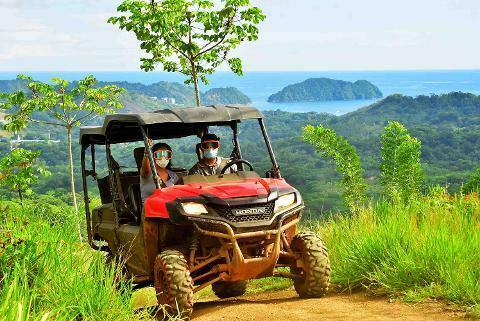 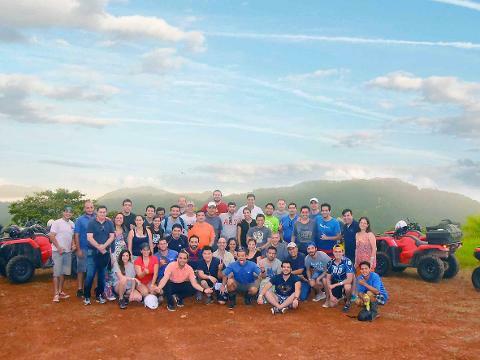 Welcome to the best Jungle & River Buggy Adventure in Costa Rica for 4 people, this tour will put you in the driver’s seat of some of the best Honda 4×4 off-road vehicles out there. 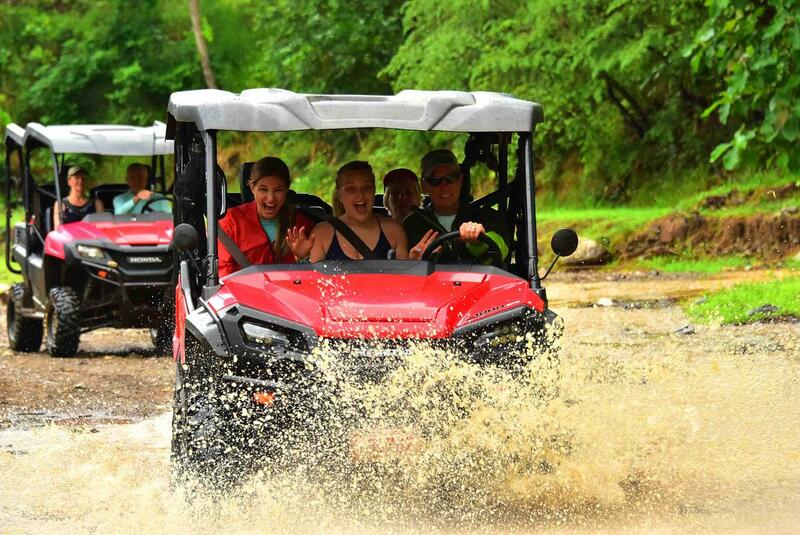 In our adventure center, you will receive all the driving instructions, and then before you begin your journey you will take a test drive on our specially designed private track. 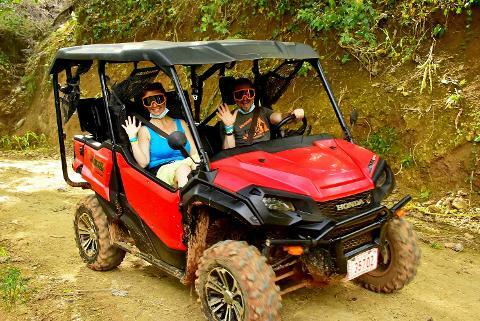 From here on, your bilingual guide will lead you along the jungle trails, following rivers and fun muddy dirt paths. 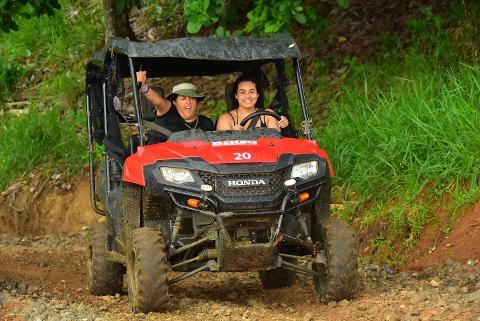 Time and trail conditions allowing, you can take a swim in our natural swimming pool, the guides will have cold water along the ride, and at the end, we will greet you with fresh fruits and water. 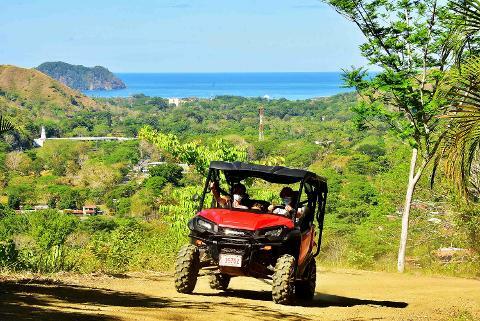 Includes 2 hours Quadruple Buggy tour, bilingual guides, insurance, safety equipment, fruits, water, breathtaking views of the Pacific Ocean and Honda Side by Side vehicles are used on the tour.